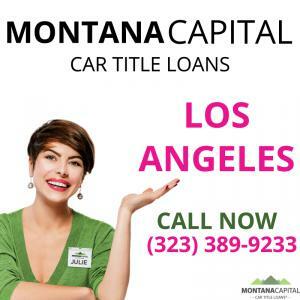 LOS ANGELES, CALIFORNIA, USA, March 13, 2019 /EINPresswire.com/ -- At Montana Capital Car Title Loans in Los Angeles1, we have a long history of working with California residents. We understand very well that our long-term success is directly linked to the success of the customers and communities that we serve. As such, we want to give back to the community. We seek out various types of educational institutions and non-profits that can benefit from our support. Students Run LA was established to give students who are at risk a chance to gain experience in setting goals, developing character and becoming fit through the aid of adult mentors. They train, prepare and compete in the Skechers Performance Los Angeles Marathon. The young people involved might have been labeled as misfits or under-achievers, but through this challenge their lives are changed forever. The program has grown to include 3,200 students from the greater LA area. Drive Toward a Cure is a charitable organization set up for the sole purpose of raising funds and awareness to the challenges of those who are suffering from Parkinson’s Disease. They create community events such as the California Adventure, which is a four-day outing to Yosemite National Park. Another popular event is “Drive Toward a Cure Day,” which can include drives or track days inspired to benefit Parkinson’s research and patient care. Hollywood HEART uses arts education to strengthen character and resilience in youth who are at risk. They provide programs that include a summer camp in Malibu, creating in-school programs and additional events all aimed at those youths who are facing challenges. During camp there are Special Performance Nights, Dance Nights, Movie Nights and Beach Day. During the school year there are volunteers who are arts professionals who guide the youth in after-school or weekend programs. Montana Capital Car Title Loans provides title loans for residents of California. As a full-service title loan company, we help find solutions to all applicants. The range of loans goes up to $20,000. Our title loans are according to the value of a car you own, your ability to repay the loan and our other credit criteria. Call us or come in today to hear how we can help you!